For the last few years, the folks behind the nocturnal pop-up Night Tales have been making the dark winter months that little bit more bearable, with cocktails, street food and live DJs – all under the safety of a much-needed rain-proof canopy. This year they’re back with a shiny new Japanese-inspired night market, Tokyo Nights. 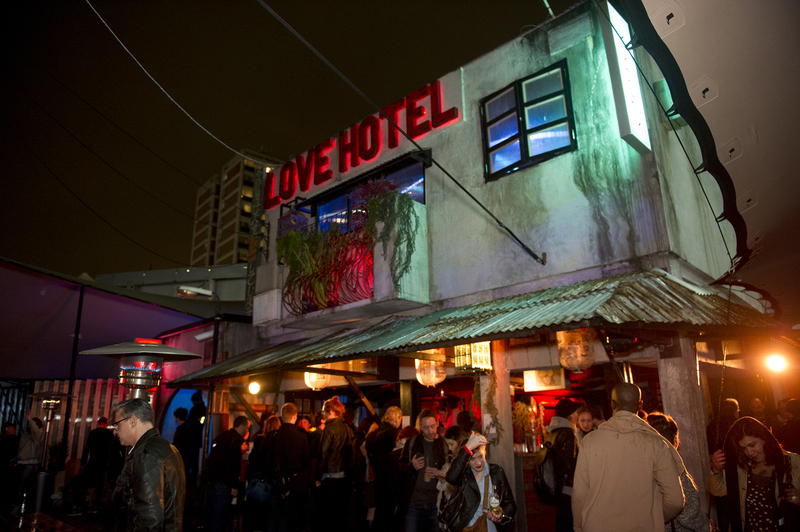 They’ve transformed their Shoreditch space into a Tokyo-themed foodie mecca, with neon signs, eight Japanese houses and even an urban downtown area complete with a private ‘Love Hotel’. Oo-er. As well as the usual street food suspects including Patty & Bun and Bubbledogs, they’ve called in Tokyo-born chef Yoshiko Wada, who will be hosting an eight-course supper club where you can feast on salmon sashimi, mushroom tempura and a wagyu scotch egg in a private dining room away from the riff raff. There’s also a sake bar where they’re using traditional Japanese rice wine to put a twist on classic cocktails including sake martinis and white Russians. Kanpai! Tokyo Nights is open every Thursday to Saturday night until December 19. Next A Japanese flamenco dancer in London!